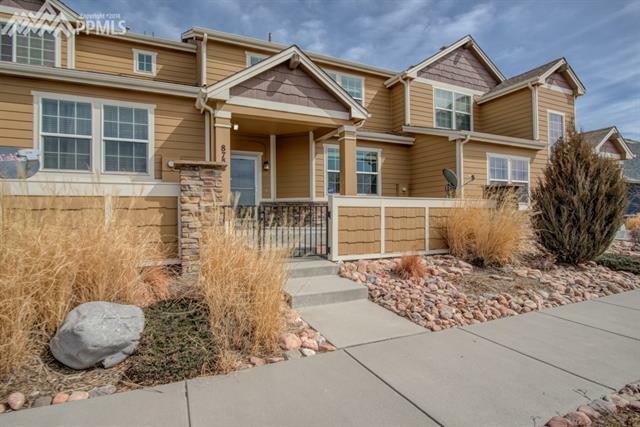 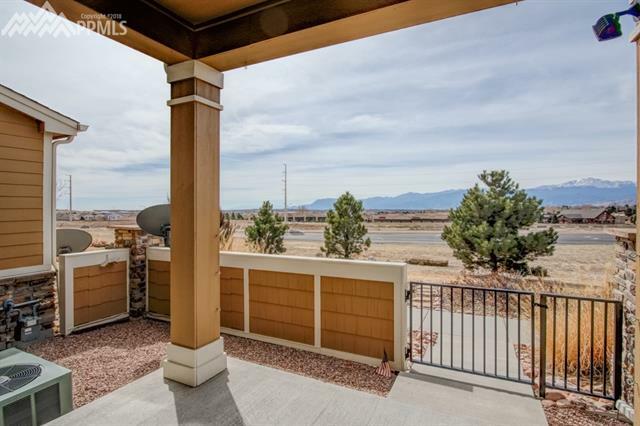 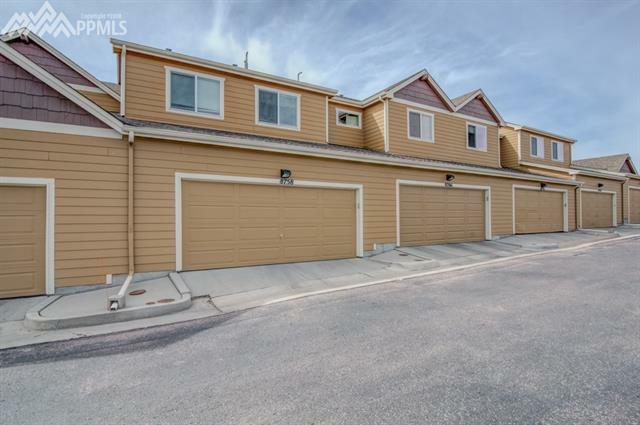 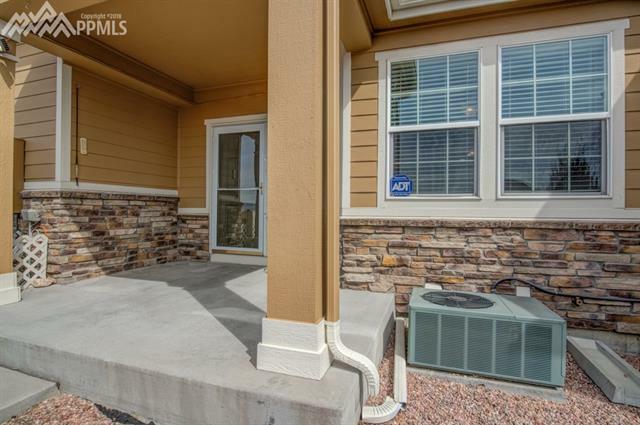 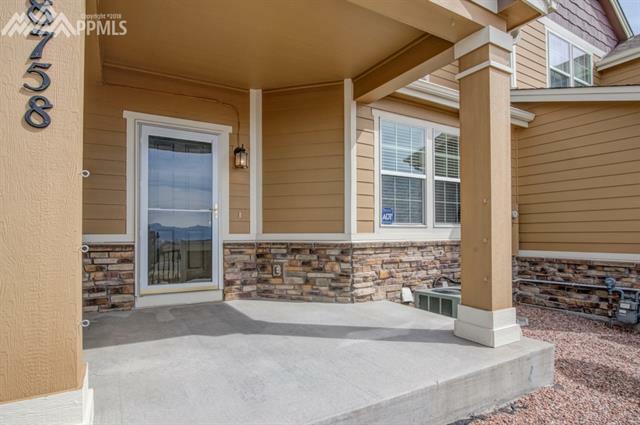 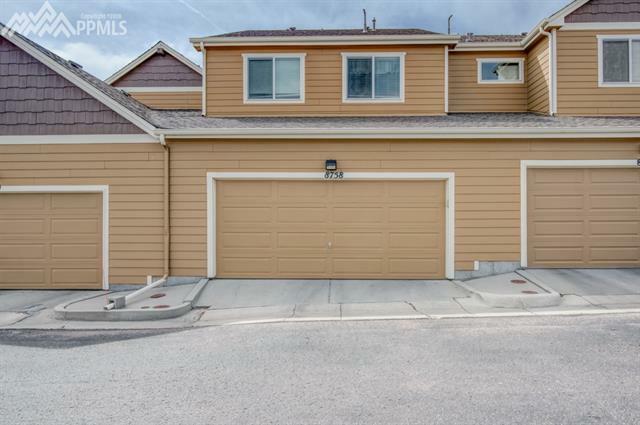 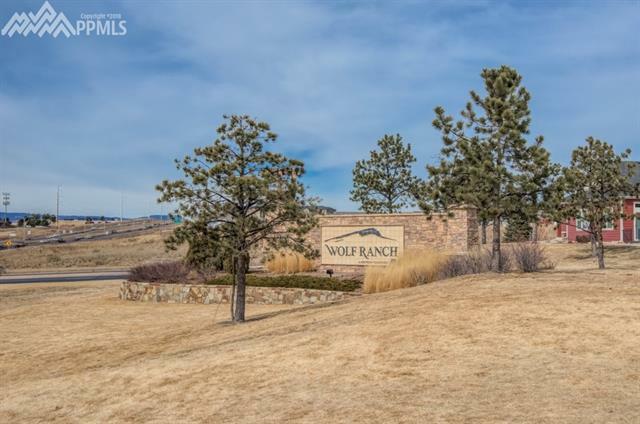 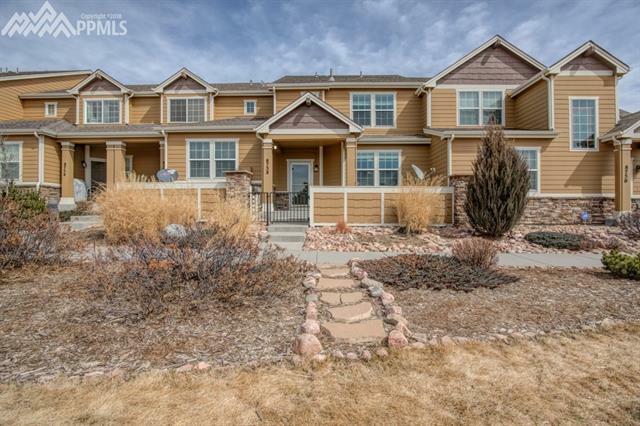 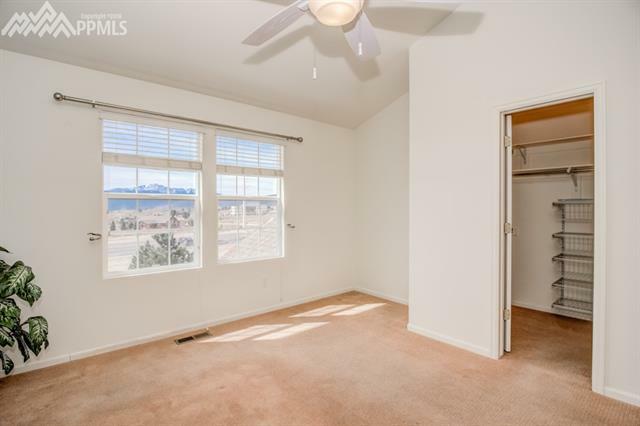 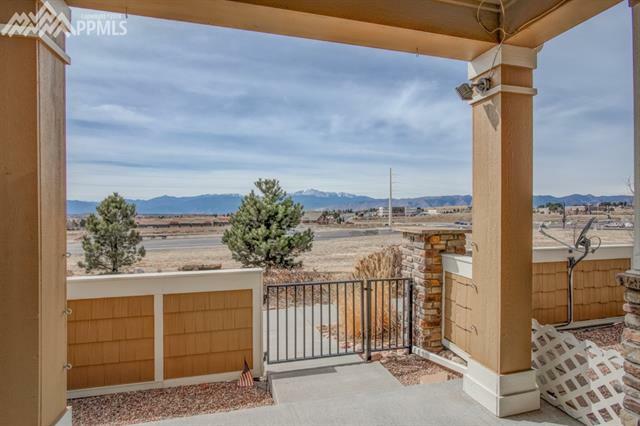 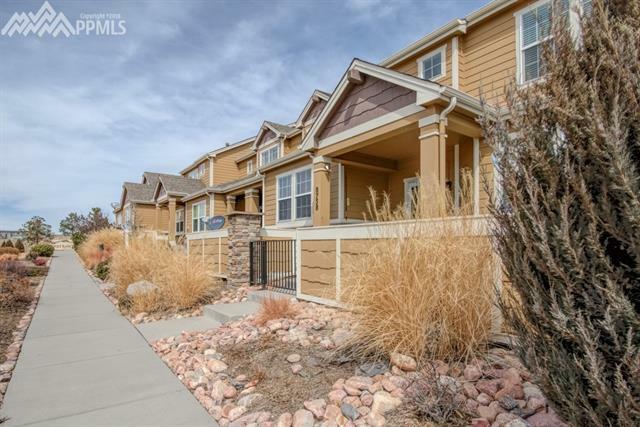 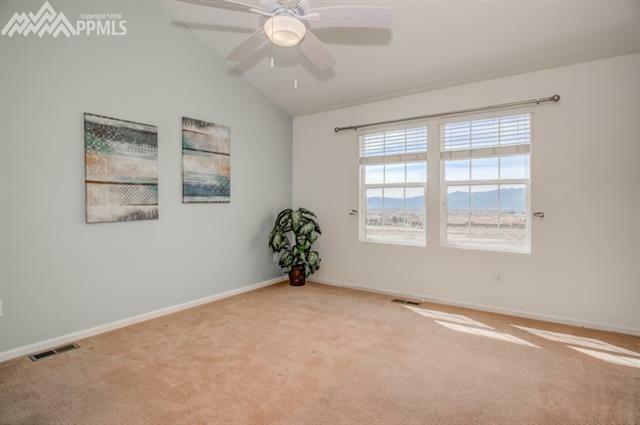 Beautiful townhome in the Overlook at Wolf Ranch with spectacular views of Pikes Peak and the Front Range from the front of the house, and from the front porch. 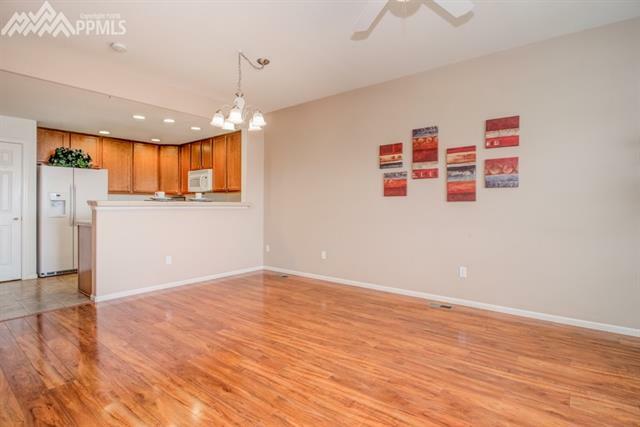 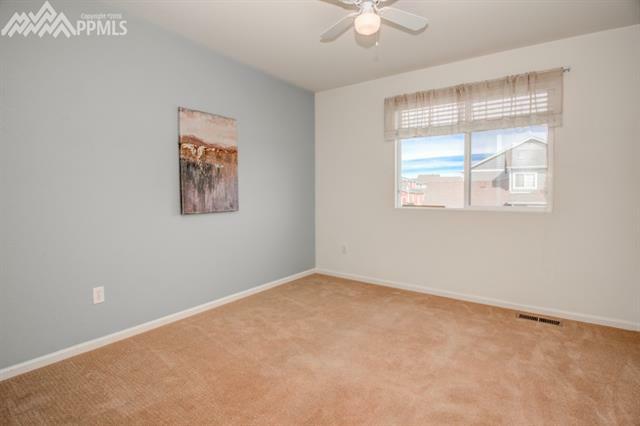 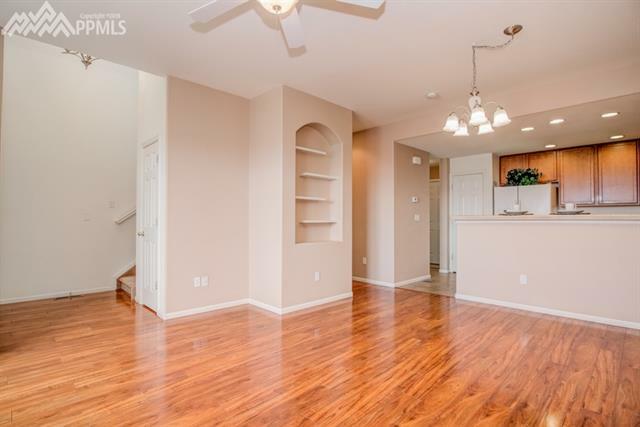 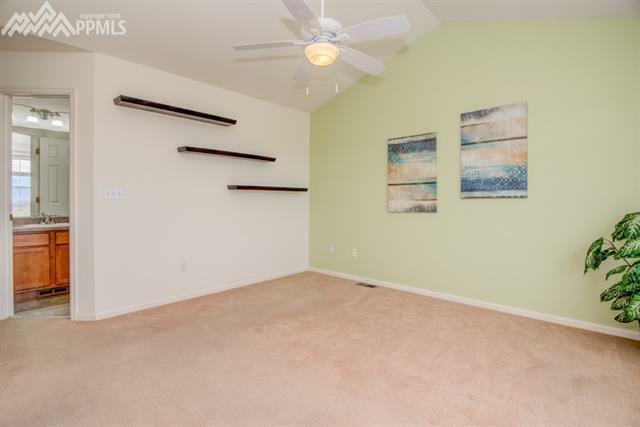 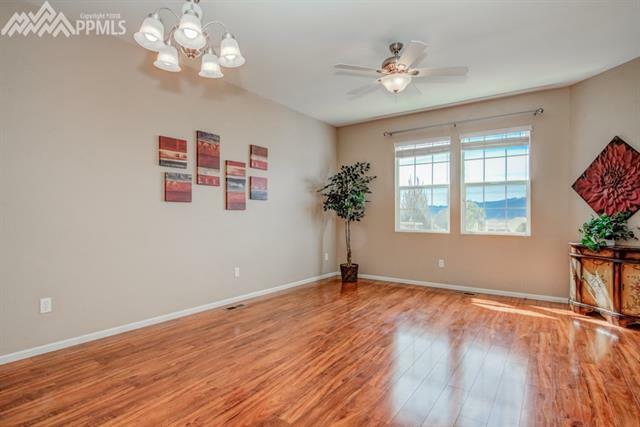 This home has beautiful laminate wood floors that in the Living Room with Dining area. 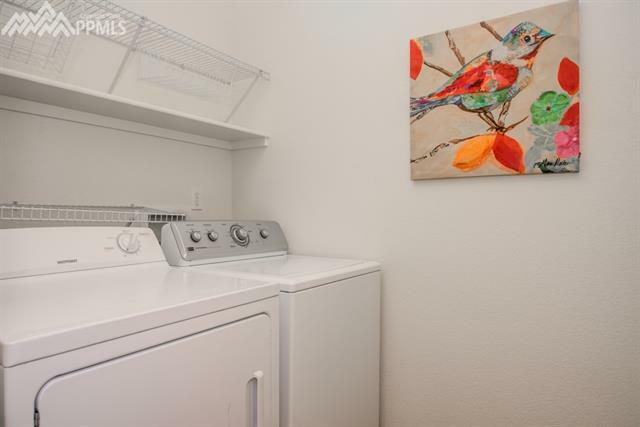 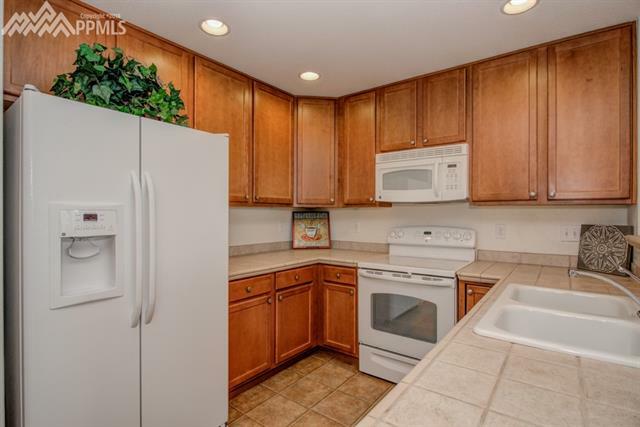 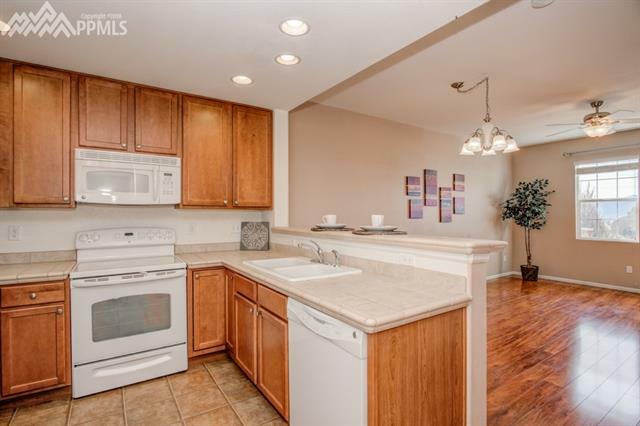 The Large Kitchen has tile countertops and appliances are included. 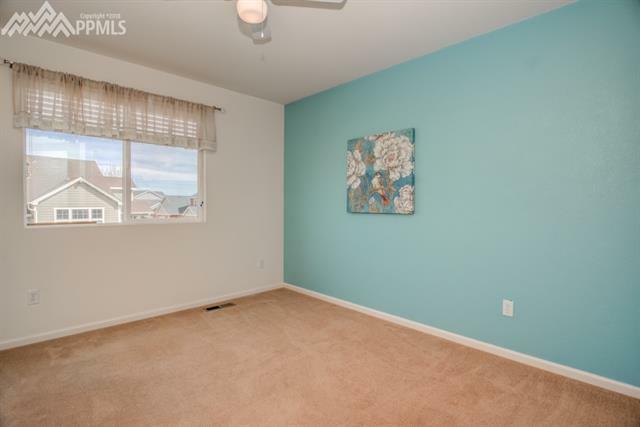 There are 3 bedrooms on the upper level, including the Master Suite, with attached bathroom, and walk in closet. 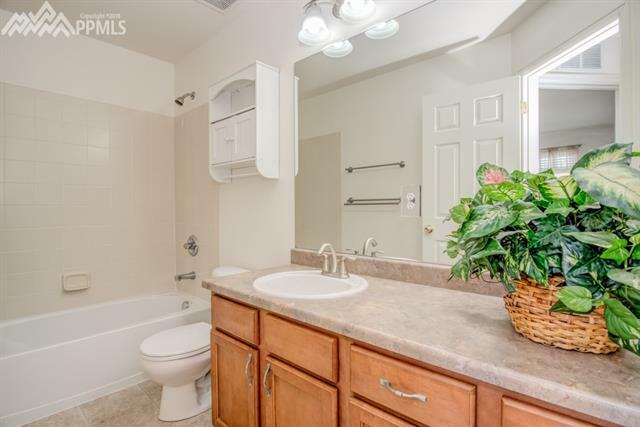 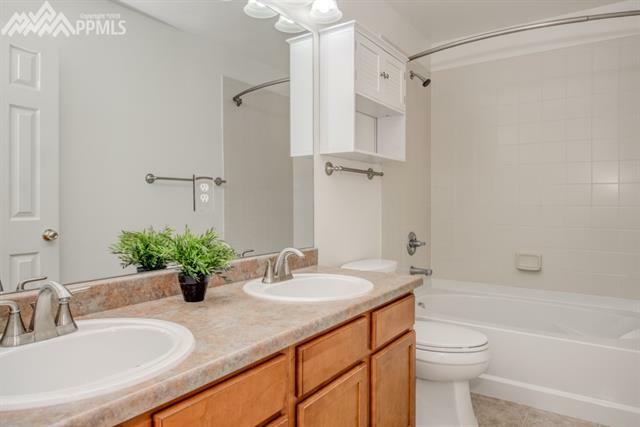 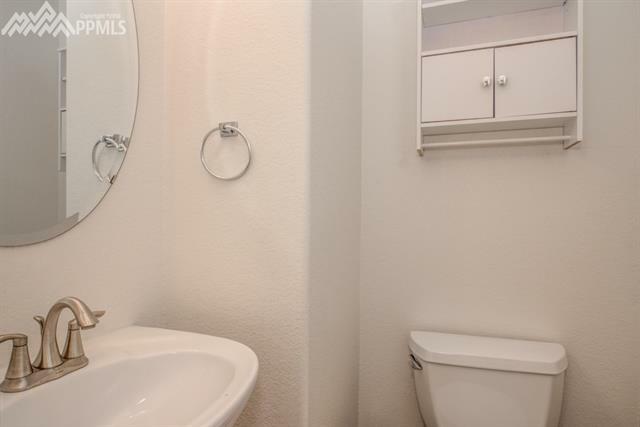 The upper level also has an additional full bathroom. 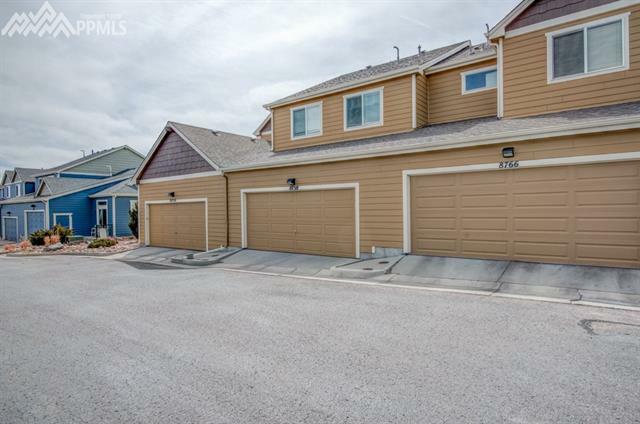 2 car garage attached with Air Conditioning.